Rocky has recently discovered train sets, his Uncle bought him one for Christmas and since then he's been train set mad. We love wooden play sets in this house and we like to create imaginative play scenarios with our simple but fun wooden play sets. 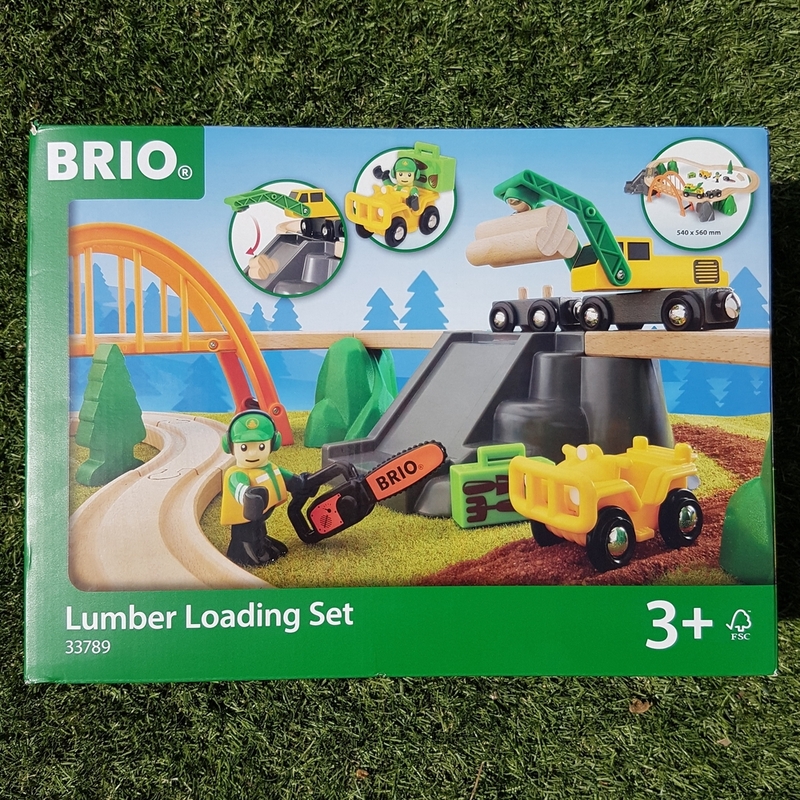 BRIO is one of the best brands around for simple wooden toys, that's a given, and this set has not let their reputation down. I am expecting this toy to last long enough to hand them down to the next generation. That is the beauty of wooden based toys, they are durable enough to last and these seem to be no exception. Strong and easy to put together and simple enough for even me to put together, this toy is a great addition to Rocky's ever growing wooden toy box. I love that you can add to the set too with other sets and pieces, it's a no brainer birthday/christmas go to. For where to buy and other sets there are links below.